Gain your PADI Divemaster qualification in the warm, clear waters of the tropical South Pacific with Pacific Divers, the Cook Islands only PADI 5 star instructor development dive centre. 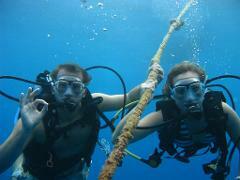 Pacific Divers offer professional dive instruction in a relaxed, friendly environment. 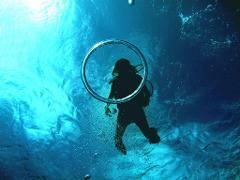 Learn with our team of PADI scuba instructors and develop your diving and customer service to a professional standard. 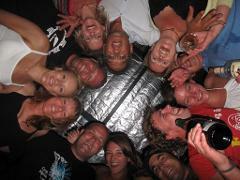 If you already have 40 logged dives you can discount the programme by $1400.00 and take 2 weeks off the duration. Heaps of staff BBQ’s and good times! is a cost of $50 for the doctors consultation.